‘Tools to improve workflow for web designers’ — is that your recent Google search? Look no further! Here you’ll find some fantastic, seamless solutions to make that process of designing easier! Designing can be a challenge, especially when it puts you into unknown territory. You’ll have to juggle a lot of tasks simultaneously. It is common to get overwhelmed by the whole process — from designing to waiting for the feedback. But technology can make your job effortless. However, some businesses or individuals prefer not to get into it, and hire a professional graphic designer to get work done. All over the world, people are using technology to imbibe the best that the world can offer. Choosing the most effective web design tools is itself an art. The best web design tools or graphic design services help work smarter than harder in order to achieve the desired result. I am sure that you’re looking for such tools. In this article, I’ll help you find the best tools to rev up your workflow. A great logo design is the cornerstone of any business. Therefore, it becomes imperative for graphic designers not to leave any stone unturned while creating a logo. Designhill’s logo maker is an artificially intelligent tool that creates a stunning, professional looking logo in just five minutes. Apart from logo maker tool, the leading graphic design platform offers other worthwhile tools such as business card maker, email template maker and many more that ease out the job of web designers as well as graphic designers. Looking for a logo maker tool? Wunderlist is the simplest way to get the job done. Whether your goals are professional or personal, you can set them here for the day, week and month. Wunderlist helps to organize to-do list, get reminders, plan for anything, collaborate, and set due dates for your designs. The tool has a minimalist design and can be accessed from all your devices. Balsamiq is easy for anyone to use for ‘wireframing.’This tool lets teams collaborate, control versions and run a user test. With a drag-and-drop interface and pre-made interface components, designers can quickly sketch an idea and move to a more detailed prototype. Over 500,000 companies are using Balsamiq happily to create their website design and software. InVision Studio lets you do stuff like design, prototype, and animate at one place. You can get high-fidelity prototypes in less than five minutes. This tool helps designers to create better team communication, high-end designs, rapid prototypes with micro-interactions, and super efficient design hands off to development; thus building brand identity of the businesses. This is visual version control for designers. Designers can easily save design files in a folder for version control of binary files, keeping track of text files such as code. From open source to business, on GitHub, you can review code and build software, alongside 28 million developers. ProofHub aims to make your life as a designer much easier than before. This is a collaborative tool for multiple designers to post comments in real-time on their designs and speed up the review process. Designers can annotate files with markup tools, review file version, keep everyone in the loop, and reply to comments within a thread. Online proofing in ProofHub, works as a central place for reviewing all of the files and saving a considerable time that would have wasted on emails. The Sketch is a vector-based app which makes it a great alternative to other mainstream art suites like Photoshop. It’s minimal design, and overall UI makes it cleaner to design in. A designer can have hundreds of plug-ins here for easier and smoother flow. Designers use it for general layout, vector drawing, and integration with other apps and plug-ins. Biteable comes fully loaded with ready-to-use templates to help you make amazing animated videos. This is better than other apps as it has the power to allow you to make as many videos as you want. Create studio-quality engaging animations by choosing a template that best suits your industry. Share the video instantly on social media sites or embed it in your website design. Colors are an essential part of the design as it speaks to the viewers’ emotion, bringing together all of the design elements. Adobe Color CC is a simple way for intriguing color combinations. It generates themes that you can use in apps like illustrator or Photoshop, and other mobile apps. Tune your color palette for a smooth creative workflow with the help of Adobe Color CC. Get the perfect color combinations for your design. Canva is a design service offering templates and layouts to turn your ideas into stunning designs. Designs can be made either public or private. The tools and functionalities of Canva let the user create appealing and relevant content to make the process seamless. A collaborative interface design tool, Figma for UI/UX design process will save your hours of work. You can use this tool to work on the full design process: wireframing, design systems, prototyping, and real-time collaboration. Well, it is a G Suite for the design world. Designers can use Figma on Macs, Windows PCs, Linux machines, and even Chromebooks. Launched in late 2014, Affinity Designer promised to give Adobe a run. It was created specifically for professional graphic designers working in a Mac environment. 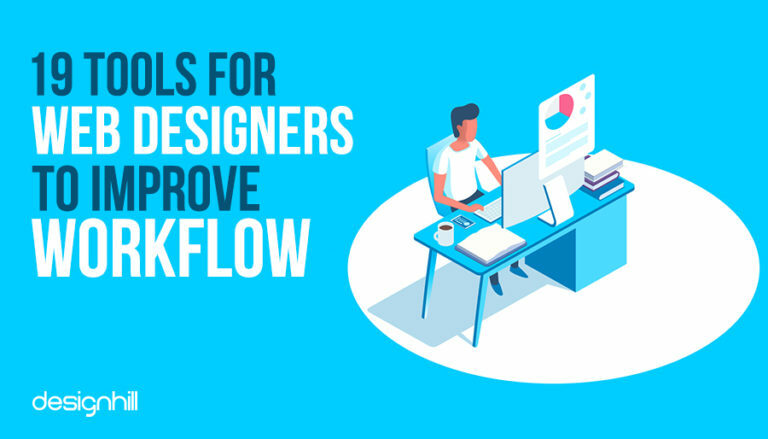 With a modern and intuitive user interface, designers can open and edit PSD, AI and EPS with relative ease, build wireframe and grids, use assets to make the design process fast, create text styles and of course design a website. Use affinity designer to design modern websites and save a lot of your time. Establish a typographic system with modular scale and vertical rhythm in Gridlover. It is one excellent tool that helps you produce the basic styles of typography. On your designs, you can set line size, margin and height, and a simple slider. You can find styles such as SCSS, in LESS & Stylus on Gridlover. Typeplate is a “typographic starter kit” for a web designer to set up typography. For common typographic patterns, type plate gives proper markup with extensible styling. Choose from essential styles that address small capital, colors drop cap, blockquote and much more. Use the Sass or CSS library for choosing an appropriate technical implementation of design patterns. Everybody loves free photos. Pixabay is for royalty free images for anyone. Designers cannot do without this. So, if you are looking for epic background or some cute images, illustrations, Pixabay is the site for you. You can use these images while creating logo design or any graphic design jobs. Sometimes you may need a pencil, paper, and some templates to speed up your creative process. Sneakpeekit has a fantastic collection of printable PDF grids for design wireframing, including seven different templates and two versions – with and without a dot grid. Work outside the computer and do paper sketching from the printable wireframe templates from Sneakpeekit. Designers usually face the challenge of finding the right UI for users at the right time. With Resizer, you can see how digital products respond to material design breakpoints. The tool offers material design guidance around breakpoints, responsive grids, surface behaviors, and user interface patterns. Visualize which patterns will work best for your designs. The principle makes it easy for web designers to design interactive and animated user interface. It is powerful UX animation software that many designers love to work on. You can design the flow of a multi-screen app, import sketch files into the app, and add little creativity to your output. Do not limit to predefined transitions, use Principle to create designs that look amazing. Flinto is a Mac app used by professional to create anything from tap-through prototypes to comprehensive prototypes with interactions. Being used by top designers around the world, it has become a prime inspiration for designers to create interactive prototypes of their app designs. There you have it. Using the right web designer tools will make your every step easier. I hope the above list of the tools will get you started to deliver a website that is more impressive. You won’t be dependent on graphic designers for every design needs. You can even create impressive business cards using business card maker tool in minutes.